This means that there may be a problem with your payment option. For example, this error can occur if there's an outstanding balance on your primary method of payment. 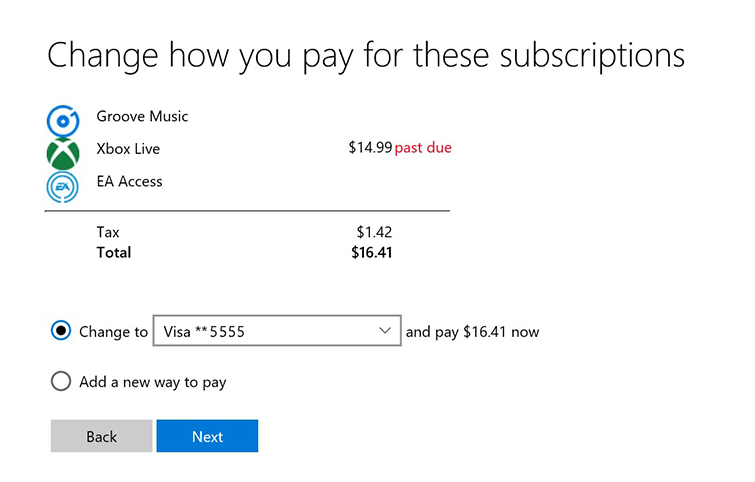 Sign in to your Microsoft account and follow the steps to pay the outstanding balance owed on your primary payment option. If you need to remove a payment option, select Payment & billing, select the payment option to remove, and then select Remove. For details, see Manage your payment options online. Would you like to contact Support regarding the "Error 80162765 occurs when you try to make an Xbox Live purchase on Xbox 360" issue you were reading about or a different issue?